Seeing London once should be on the to do list of any traveler’s. Finding budget hotels in the UK is not hard if you know where to look. Your best bet is to do some research ahead of time. Depending on where you’re going, book your hotel at least two days in advance. To save a buck, sacrifice proximity to city centers for a more modest hotel nearer the outskirts of town. City transit tends to be affordable in most cities, so you’re better off taking the subway, or local train, in than you are spending extra money on being two blocks closer to the main attraction. Shoreditch is one of the trendiest areas of London having recently undergone extensive regeneration. It is now one of the hottest nightlife spots in the city and one of the coolest places to stay in London. Packed full of bars and eateries, it’s the perfect place to spend a day and an evening. Check out Trapeze, a circus-themed bar that serves endlessly inventive drinks out of popcorn tub-style cups. For pop culture lovers, there’s Far Rockaway, a chilled bar and restaurant filled with comic books, band posters and a regular 90s night. Or visit the Blues Kitchen for a blues night accompanied by sticky ribs and other American staples. Landing in London, if you ever need a room for rent in London please check SterlingDevere room search platform. 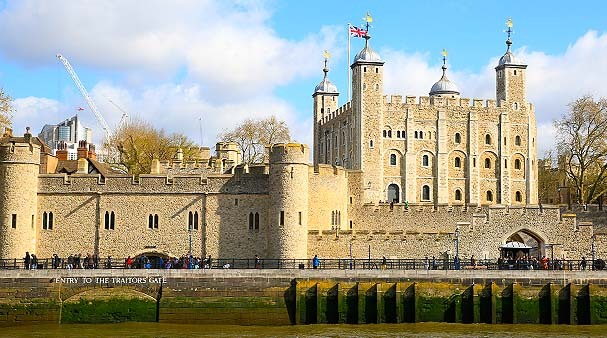 If you are visiting London for the very first time, this iconic palace is a must see. First of all, it’s the official dwelling place of the Queen of England. George III bought Buckingham House for Queen Charlotte in 1761 and the palace has gone through many renovations since then. In counting, it has about 774 rooms and holds thousands of guests each year for great royal events, ceremonies, and garden parties. Hanging on every wall of this royal palace are beautiful works of arts. The palace is open to the public from late July to September and on select dates in December, January, and April. The Millennium Bridge is a pedestrian bridge that was built across the River Thames at the beginning of the millennium. The name of the bridge was derived from the time of its construction. This pedestrian bridge stretches across for a total of 1,066 feet and links two famous London landmarks, the Tate Modern and St Paul’s Cathedral. A stroll along the bridge is a great way to enjoy the fresh air and get amazing photographs of some of the most famous landmarks and attractions in London. Tate Modern is the national gallery of international modern and contemporary art from 1900 onwards. The gallery opened in 2000 in a converted power station on the south bank of the Thames in an imposing position opposite St. Paul’s Cathedral. You can visit again and again as it’s free and the modern art displays change quite frequently. You’ll often find enormous installations in the Turbine Hall on the ground floor. Right outside is the Millennium Bridge (the one that was ‘wobbly’ when it first opened).